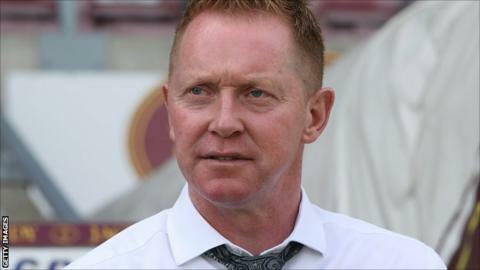 Wycombe Wanderers have sacked manager Gary Waddock after the club suffered their third successive defeat. Saturday's 1-0 loss to AFC Wimbledon left the Chairboys in 21st place in the League Two table. It also meant they had only picked up four points from their opening seven games this season. A statement from the club read: "The club would like to thank Gary for his efforts during his time at the club and wish him every success for the future." Waddock led the club to promotion from the basement division in the 2010-11 campaign but they were relegated at the end of last season. A further statement from the club is expected on Monday.